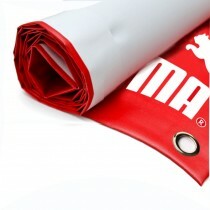 Custom vinyl banner printing from DDP based in Croydon. Over the last 20 years we have supplied thousands of companies, big and small with custom printed personalised vinyl banners for events, trade shows, retail promotion, high street & shopping mall events, school fetes and full building wraps; the list is endless. We print all our banners in-house using eco-friendly inks, which produce stunning, vibrant results due to our cutting edge banner printing technology and techniques honed over 20 years. 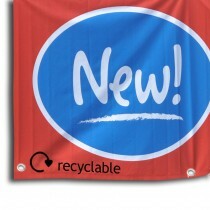 Choose from our range of banner materials below; indoor & outdoor vinyl banners, pole banners, cloth fabric flag, mesh and recyclable banners or team banners. No matter which product you choose, you can be assured of a quality, personalised service. Use our simple price calculator to get an instant quote, with the option to buy your display banners online or over the phone. Our custom PVC Vinyl banners are one of our most popular sellers due to their versatility and unsurpassed print quality onto 440gsm rip proof vinyl using vibrant HP inks. 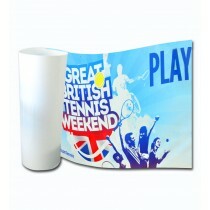 We can also produce weather proof banners ideal for outdoor events as they use UV stable inks. 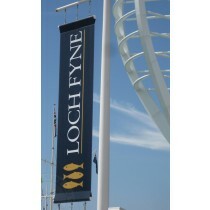 Our fabric banners retain a traditional feel and look, and are an excellent material for storage and transport. 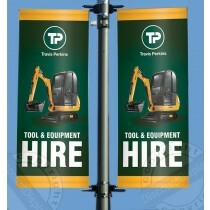 We can also produce graphics suitable for roller banners and other types of display. Printed onto fire resistant polyester using odourless HP inks. 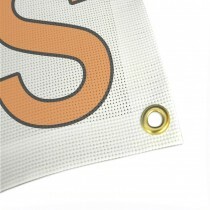 Mesh banners are unique in that they let the wind pass through them so are ideal for building wraps, whilst also being able to display a high quality print, perfect for large advertising banner sign.